For all of your oral health needs, Dr. Nadder Hassan offers complete dental care under one roof. From routine maintenance of a healthy smile to restoring damaged or lost teeth, our team can help you enjoy lifelong dental health. We are dedicated to helping patients develop a lasting relationship with us, enabling them to feel confident in their care and achieve their oral health goals. Serving many local communities including Centreville, Gainesville and Woodbridge. Dr. Hassan provides sedation dentistry options for dental anxiety and experienced care for your cosmetic and restorative needs. 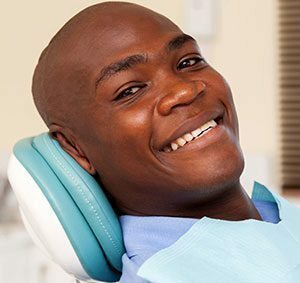 Dr. Hassan offers personalized dental care for your unique smile. Links for patient forms, payment and dental insurance information. We offer same day dental crowns and digital dentistry in Manassas VA.
From cosmetic to restorative dental services, Dr. Hassan can meet your needs under one roof. Dr. Hassan is proud to be serving his native Northern VA community, providing comprehensive dental care for patients and families in Manassas. His passion for dentistry and commitment to advancing his skill through continuing education serves as a foundation for his personalized approach to your oral health care. Take a look around our warm, welcoming state of the art dentist office. Dr. Hassan shares his passion for the art of dentistry and how it helps his patients. Learn more about our dental services and how our team can help you enjoy visiting the dentist. Dr. Nadder Hassan Review by Jamie S.
Every employee at Manassas Smiles is incredibly warm and welcoming. Every time I entered the building I was greeted by name. I really enjoyed my experiences here and would recommend them to anyone looking for a high quality dentistry experience! Treatment for the common signs of gum disease in Manassas, VA. Diagnosis and treatment for the symptoms of a bite problem such as teeth grinding. Prompt care for common dental emergencies in Northern VA.
Comprehensive restoration of missing teeth, including all types of implants. Welcome to Manassas Smiles. Led by Dr. Nadder Hassan, our team of dental professionals serves Manassas, Centreville and many Northern VA communities. We strive to offer patients the highest standard of dental care in a compassionate, friendly office environment. We are here to help you maintain, restore or enhance your natural smile for a lifetime of dental health and well being. How Can Inlays and Onlays Help You?